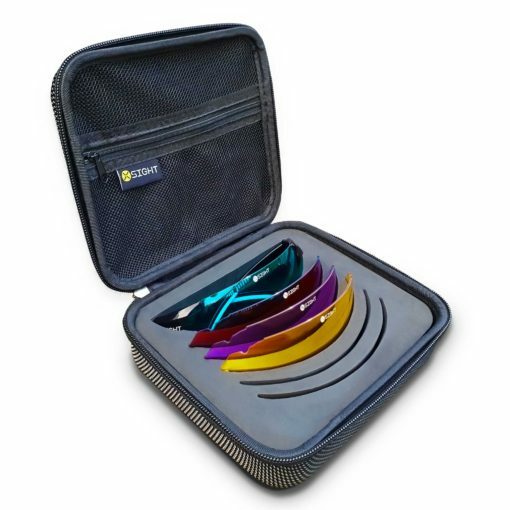 The four lens ‘Outdoor Set’ from X Sight Archery is a great choice for the summer. Suitable for all outdoor lighting conditions from bright sunlight through to darkening evenings, the ‘Outdoor Set’ has you covered. Featuring Ultra Blue, Brown, Purple and Yellow lenses. Receive a FREE limited edition light brown lens with every set purchased whilst stocks last. With a variety of lenses suitable for both indoors and outdoor shooting, the interchangeable lens technology allows you to easily change your lens to suit the ambient conditions. The extra large frame-less wrap-around lens provides a peripheral, clear unobstructed view of the target. 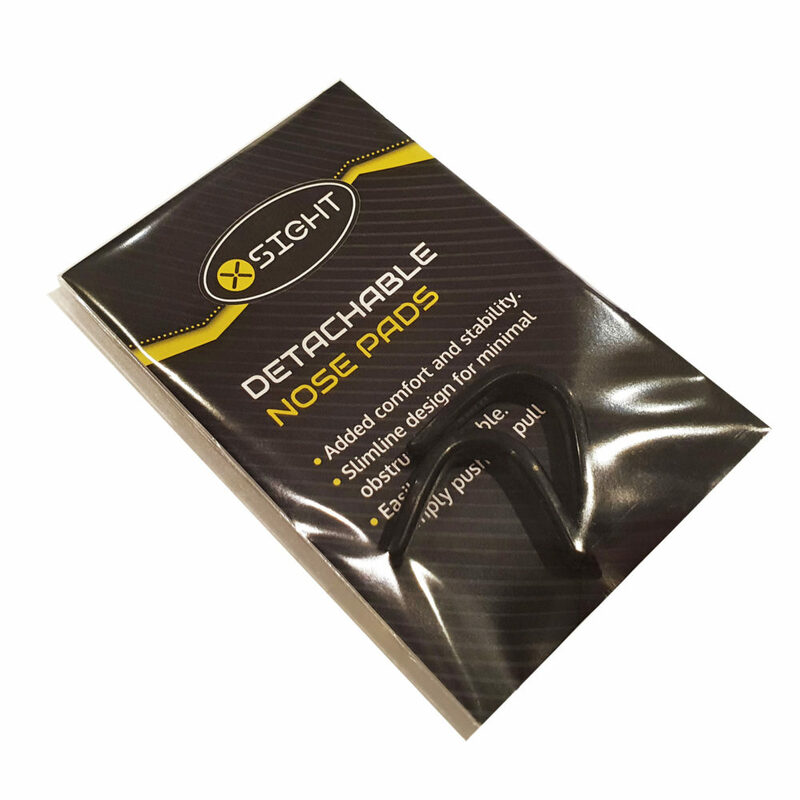 Eliminating the nose bridge ensures there are no visual obstructions in your sight picture during your aiming process. 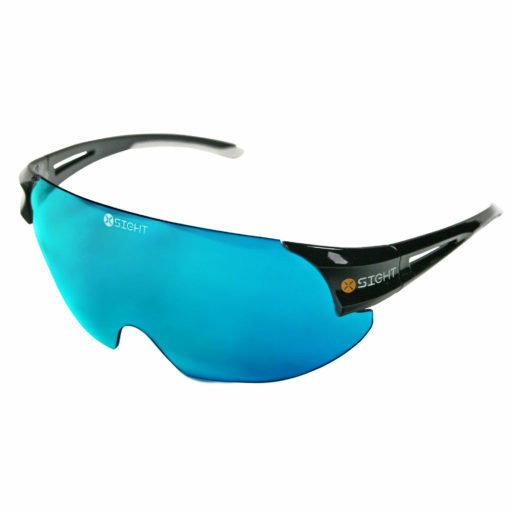 The flexible material of the lenses combined with lightweight arms produces a comfortable, lightweight one size fits all system. Avoid squinting in bright light which causes subtle changes in muscle composition leading to inconsistency. X Sight Pro glasses enable a relaxed optical shooting experience resulting in increased consistency and performance in bright light. Using the correct lens in the right conditions can be an excellent mental benefit giving you the edge over other competitors shooting in the same conditions. Shield your eyes from unwanted distractions such as wind and dust and glare when your performance really counts. 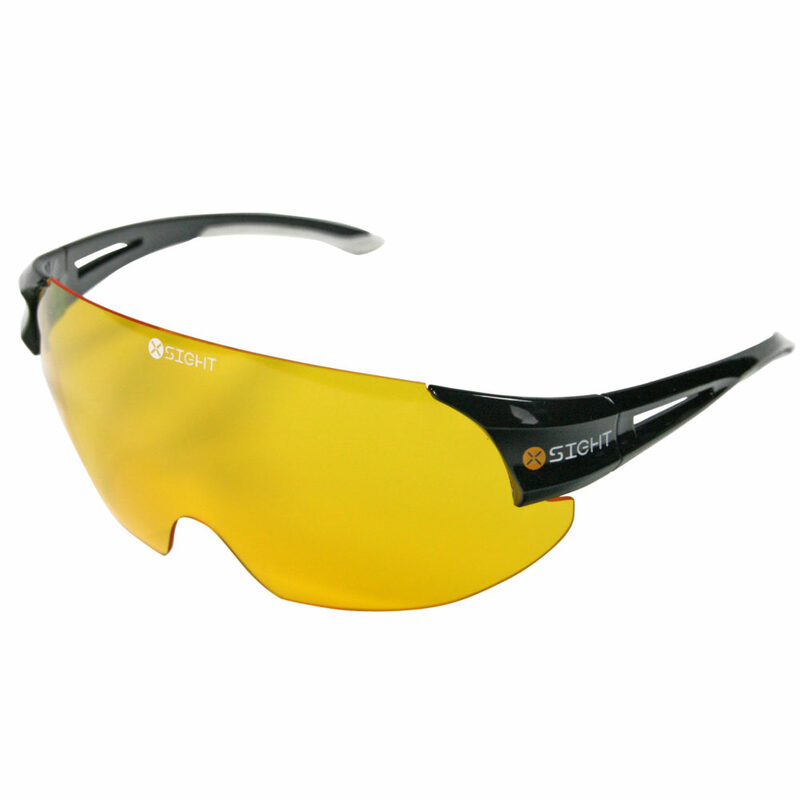 Protect your eyes from harmful UV rays and keep them hydrated for the duration of your shooting. The most dramatic of all the lenses, the Ultra Blue completely deadens the red which intensifies the gold to dramatically improve your focus on the centre and improve your aim! It also increases definition and relaxes the eye resulting in a super relaxed and focussed shot. This lens is your new best friend! The essential lens for indoor and outdoor archery. The darkest of all our lenses makes this lens particularly good during intense luminosity and when shooting directly into the sun. The low light transmittance level really helps to reduce eye strain and fatigue to maintain a relaxed optical shooting experience all day long. This lens also improves the clarity and vibrancy of colours and objects whilst the blue light blocking red pigments enhance your perception of the gold. 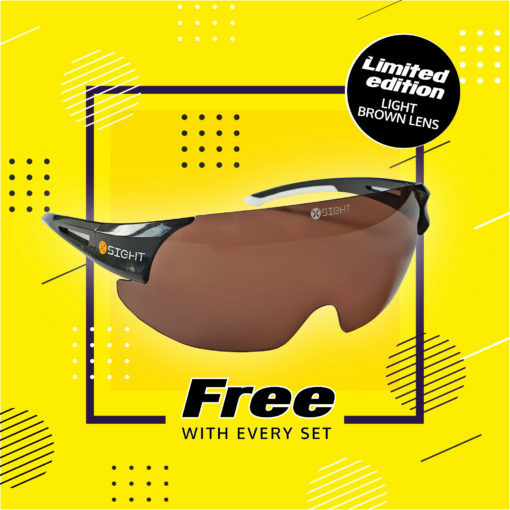 An extremely vibrant lens with high contrast technology to intensify brightness, increase alertness and help you to extend your training time in diminishing light conditions. A must have lens for anyone shooting in low light. Significantly block blue light and improve sharpness and clarity in low light and hazy conditions. Reduce the intensity of target colour blue for a heightened perception of the gold. 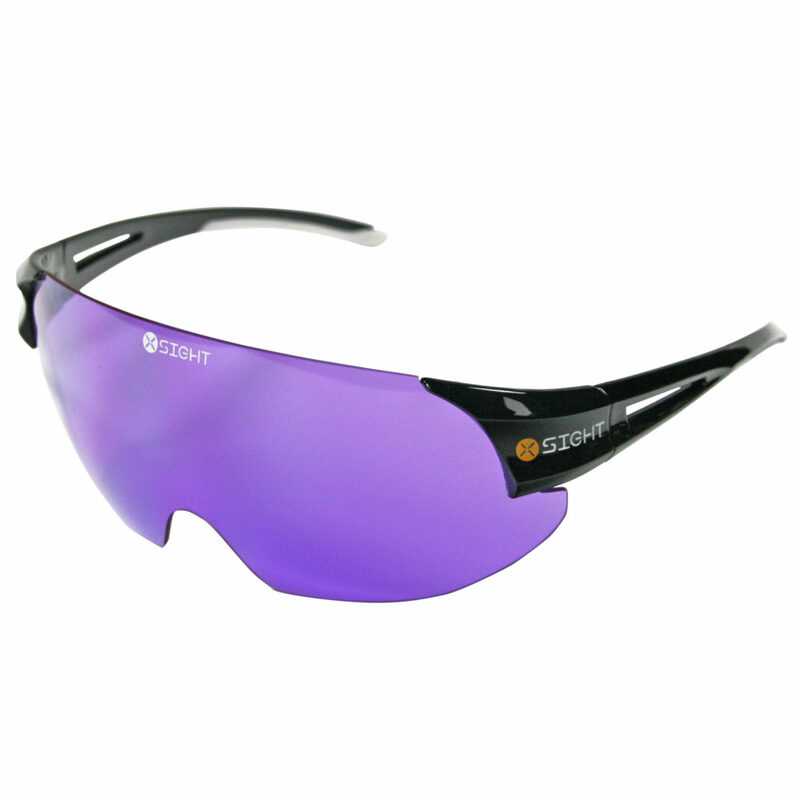 The stunning purple lens is designed to neutralise and darken green backgrounds whilst increasing colour and target definition to make the target pop. Effective during changing light conditions and an all-round excellent lens for glare reduction. 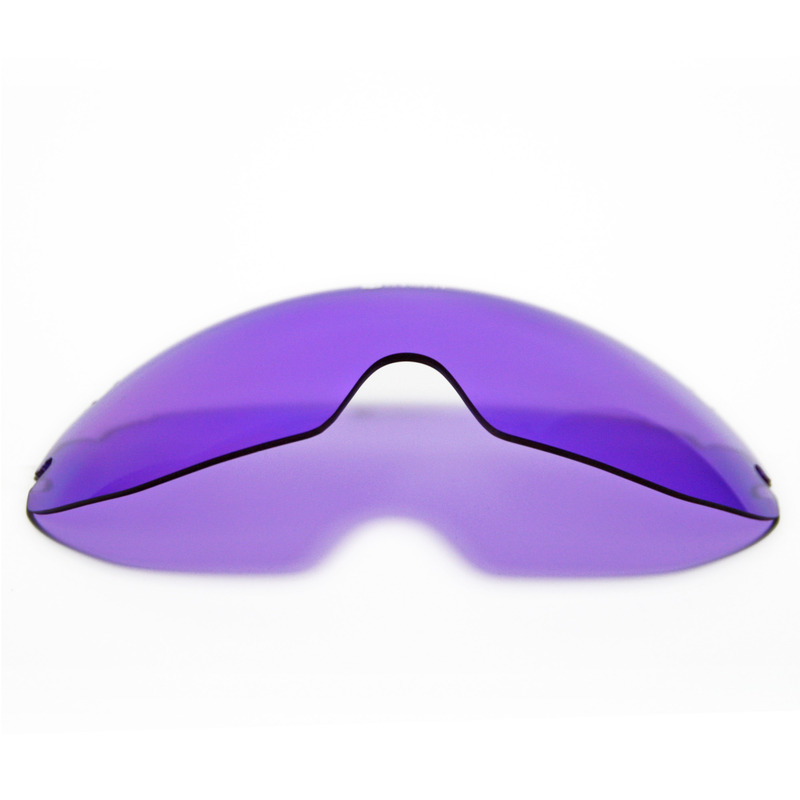 The striking purple lens is also one of the best lenses for relaxing your eyes and minimising strain through long periods of shooting. All sets come with a hard shell zip-up case, pack of two detachable slimline nose pads, microfibre draw-string bag, microfibre lens cloth, instruction manual, product brochure and iron on patch. X sight glasses have taken my shooting to a whole new level. The glasses are extremely well made. Not only do they help me focus but they keep my eyes relaxed all day while shooting. X sight glasses are perfect for changing light conditions during a shoot. 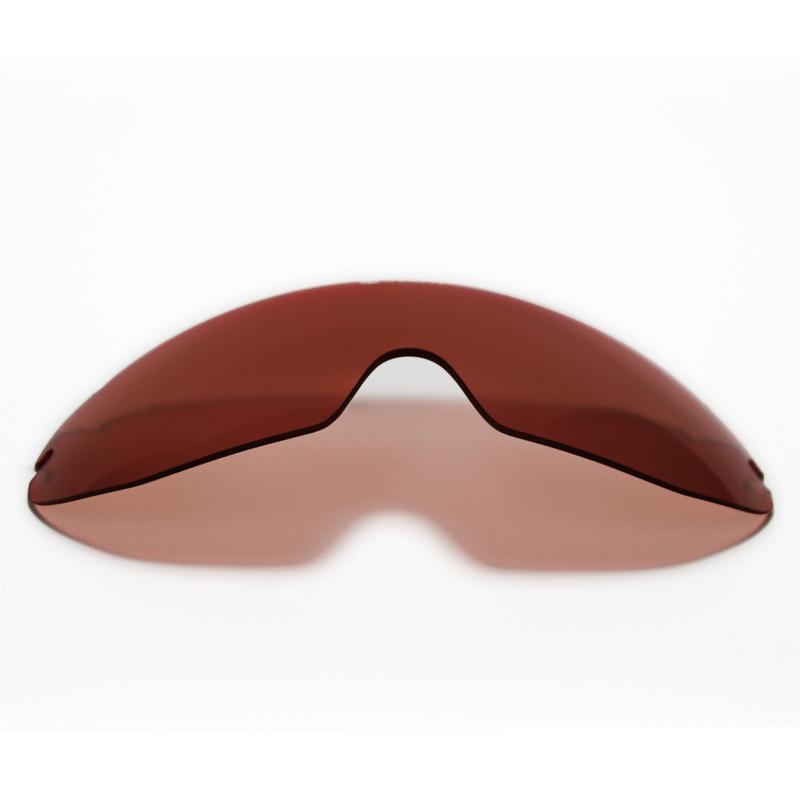 The dark red lenses drop very bright light levels down to a more comfortable level and make it easier to shoot in direct sunlight without squinting. 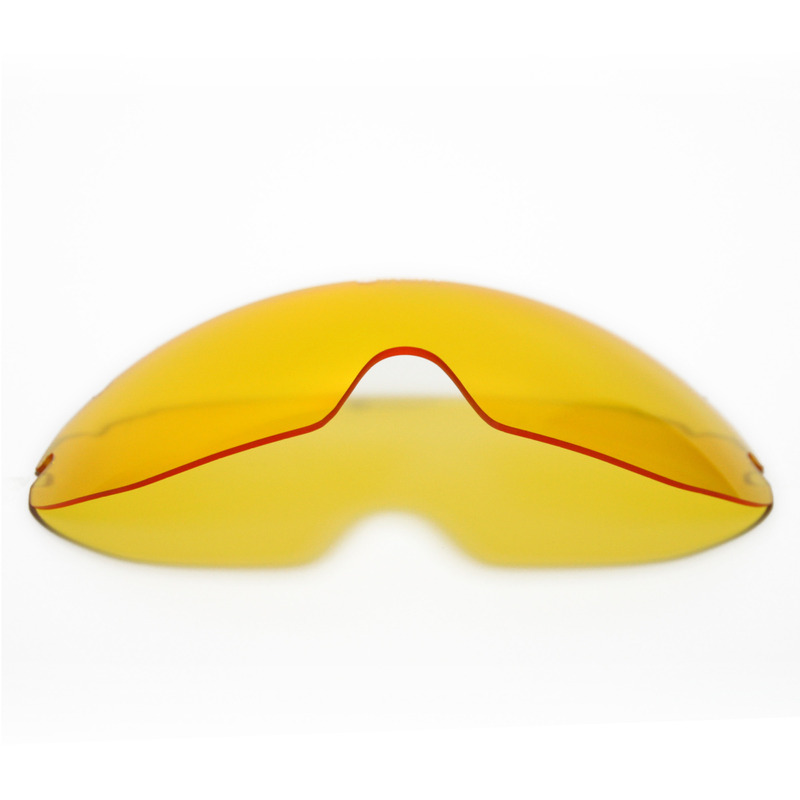 The yellow lenses are very useful during club training in the evenings as the light levels drop, they brighten your view so that you can shoot for that bit longer as it gets dark. The glasses are comfortable to wear over a two day shoot and the arms are easily interchangeable between lenses. I would definitely recommend them! I usually squint a lot and they really relax my eyes when I’m shooting in the sun as well making the target bright in low light levels! I’ve mainly been using the yellow lenses in the evenings and it’s awesome, I could shoot more arrows then anyone else because as it got darker I could still see the target! Recommended! After struggling to find a good pair of shooting lenses that worked well with my recurve bow, I was introduced to the X Sight’s. 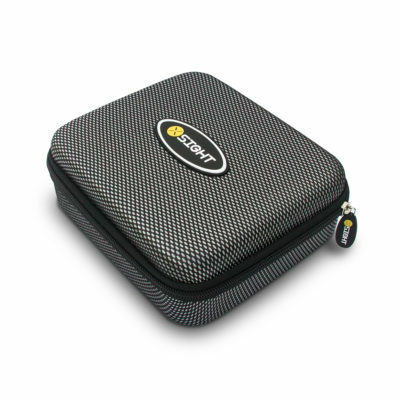 The case that they arrived in is a good size with lots of padding for the lenses. Changing the lens colours is easy and can be done with the minimum of fuss. I shot with these lenses at the 2017 Invictus Games in Toronto. There was a heat wave and the sun was very hard reflecting off the waterproof targets. It was hard to see the gold without any protection but the interchangeable lenses ensured that this was not an issue. I ranked 2nd in the ranking round and I put some of this down to me being able to accurately see the target. X-sight shooting glasses have made a massive difference to my shooting. I particularly like the brown lens for when it’s bright outside, it really helps to keep my eyes relaxed and focused on the gold, rather than squinting and closing one eye to see the target. The yellow lens is brilliant for low light conditions, making everything look much brighter especially good for in the evenings/mornings. Having sensitive eyes, I did a lot of squinting on the line. A friend loaned me a pair of shooting glasses made by another company and they really helped. While searching online for my own pair, I found the XSight glasses and decided to give them a try. WOW!!! They are amazing! 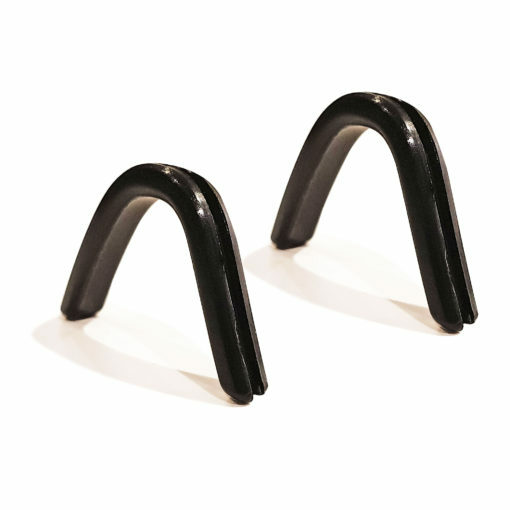 They have actual side arms instead of a string, which blows the others away in the comfort category. 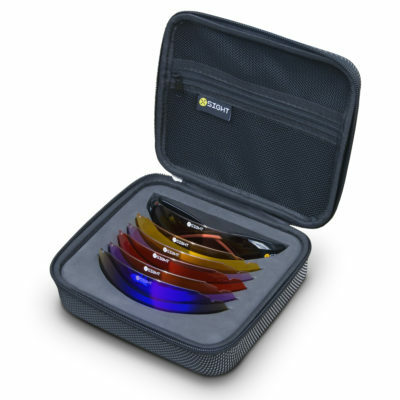 They come with 4 sets of lenses for different conditions, which is awesome. One kit and your done! No need to worry about going out to buy more lenses. You can also get these features from the other brand, but at A MUCH higher price. Now… to the shooting line. These glasses are extremely comfortable. There is no nose bridge to get in the way of your line of sight. There is also a nice wrap to keep sun from sneaking through. They have allowed me to shoot longer without eye discomfort. I only wish I had found them sooner. Do yourself, your eyes and your wallet a favor… Go XSight! I have always had. trouble with shooting in high light conditions because of my poor vision. 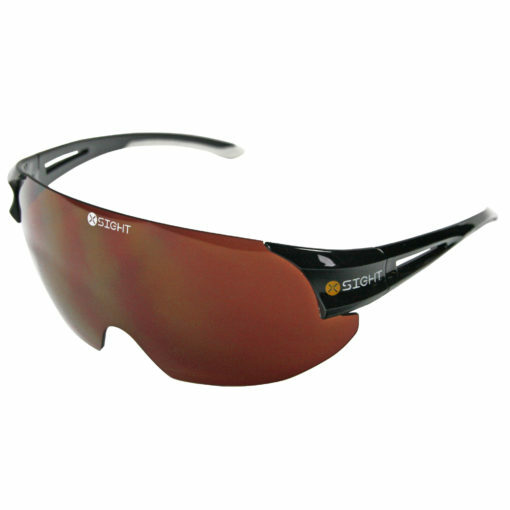 My coach lent me a pair of X-sight glasses with a brown lens and it totally changed the way I looked at the target. I looked at many different brands like pillar but i kept coming back to X-sight because of how great their quality and versatility was for a great price. The arms comfortably sit around my head for hours on end without any rubbing. I was suprised at how comfortable the glasses were without a nose picece, the lens fits comfortably and doesnt fall off at all. I love the 4 base lenses and cant wait to try the new lenses they are all designed with extra wide lendses so there is not sun that can get through the sides! When looking at other brands of glasses there are many that offer the same quality but at nearly double the price! 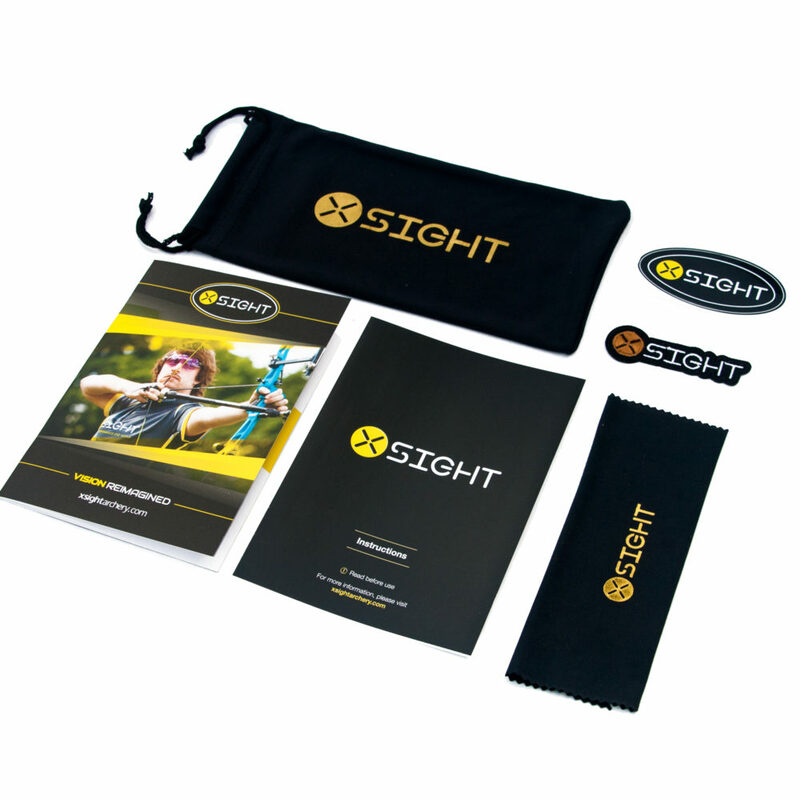 X-sight has proved to be great in all aspects from looking after their customers to providing a fast,simple and great to use sooting lens! Absolutely amazing lenses. Very comfortable. Don’t even know you’re wearing them. Lenses allow good focus in different light conditions in minutes. As a contact lens wearer they protect my eyes from wind and dust allowing total focus on the target. Customer service from Jack has been superb whilst waiting for the cases to arrive, always keeping me informed. I can’t recommend these glasses and the team highly enough. I had been looking for a decent pair of shooting glasses for a while. I looked at various products but they were either way too pricey or didn’t fit properly. I decided to try a pair of these glasses earlier this year and they are brilliant. The range of lenses give you so many options from shooting in low light (light Yellow) to bright sunshine (brown) to Field Shooting (Red). Great quality, good fit and reasonably priced. Very happy and would recommend to anyone. The X Sight glasses have an endless list of perks. For starters, the lens is so big it is virtually impossible to be glared ever again. The panoply of lenses is endless. I bought the outdoor set myself and so far I’ve tried the yellow lens for shooting at dusk after leaving work or at very cloudy days, and used the ultra blue lense on bright, clear sky days. The switch between lenses is done in less than a minute, the whole gear is light as a feather, and very resistant. I am very happy with my purchase, and invite everyone to seek the nearest X Sight Pro Staff to try them out. It also goes without saying, that the staff is amazing and very responsive. Thank you so much! Your glasses are amazing! In truth I was slightly unsure if they would make much of a difference having tried other makes. How wrong was I! They are exceedingly good. What I found interesting, was that shooting outside at our club late in the day with the light fading, by changing lenses with the change in light meant I could shoot comfortably long after others had to stop because of poor light. They are very comfortable – I use the supplied nose pads, and are really quick to change lenses. I highly recommend these glasses to anyone shooting, and Jack has been a pleasure to deal with.